Real Estate Investment Trusts (REITs), which provide some of thebest total returns in the investment world, along withabove-average dividend yields and stable earnings, have becomeincreasingly popular with both individual and institutionalinvestors. 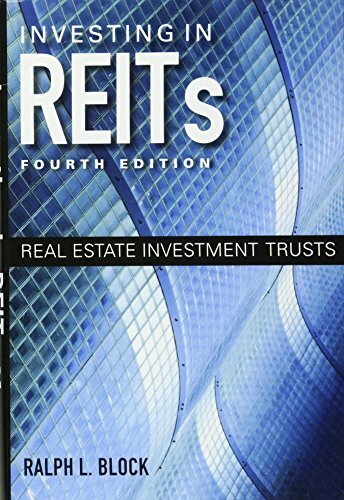 Investing in REITs, Fourth Edition hasestablished itself as the definitive guide to understanding thisattractive asset class. 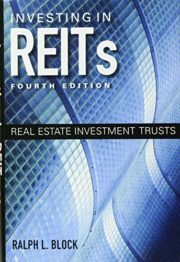 The book is invaluable for investors,financial planners, and investment advisers interested inunderstanding REITs and REIT investment opportunities. Author Ralph L. Block, who has been investing in REIT stocks for40 years and is widely considered a leading authority on REITs,brings the historical success of Investing in REITs right upto date. This book is an essential read for both individuals andinstitutions who desire to invest in commercial real estate throughREIT stocks.